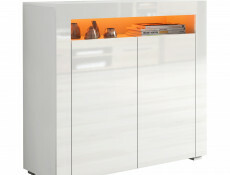 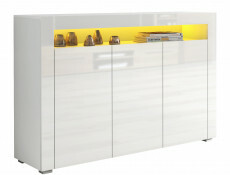 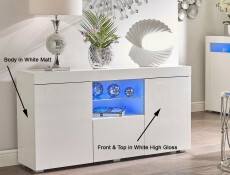 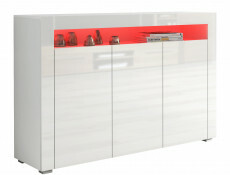 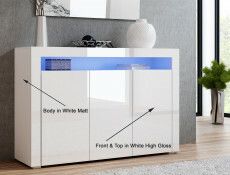 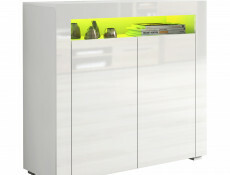 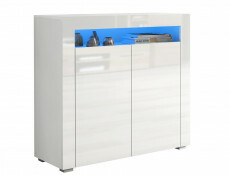 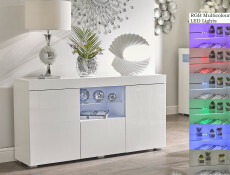 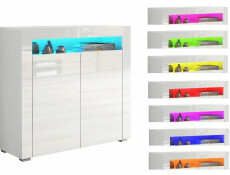 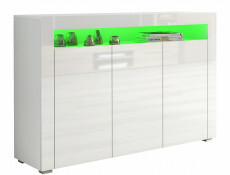 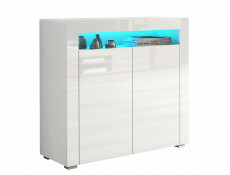 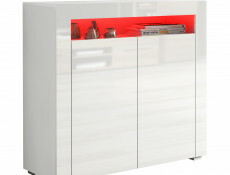 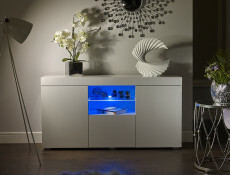 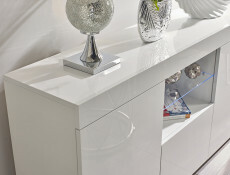 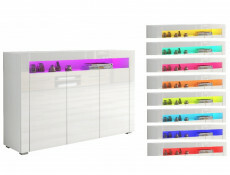 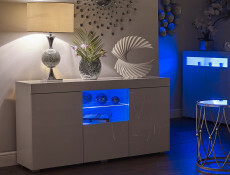 Modern wide glass display cabinet sideboard with LED light unit in sought after White High Gloss or Oak finish. 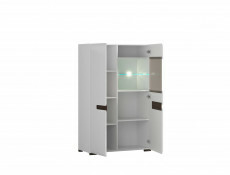 2 door unit with partially glazed right door. 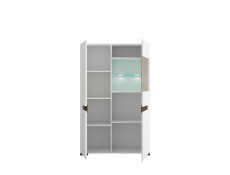 Right door has a top glazed panel with glass shelf insert inside. 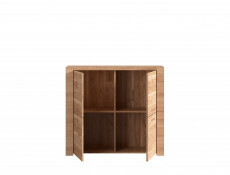 Both doors have shelf inserts behind them. 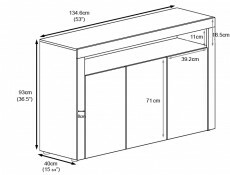 Size: 90 cm (W); 145 cm (H); 41 cm (D). 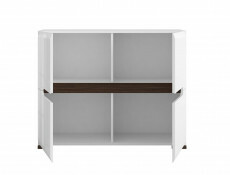 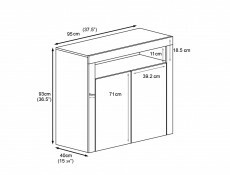 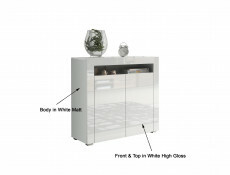 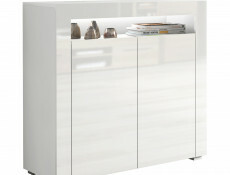 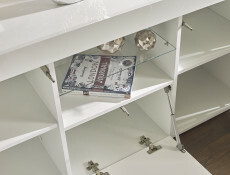 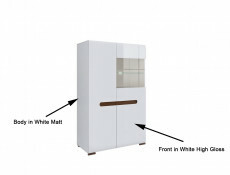 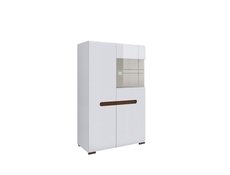 Glass fronted floor standing display unit with part glazed doors in White or Oak from FEVER furniture range. 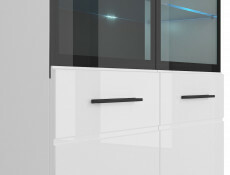 Black framed, lightly tinted glazed door in the top of the unit. 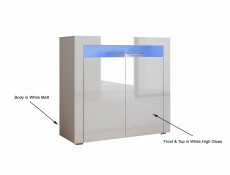 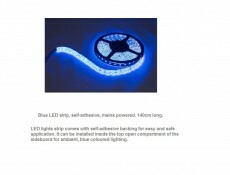 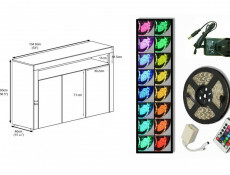 Behind these doors is a glass shelf with LED lighting for displaying favourite items. 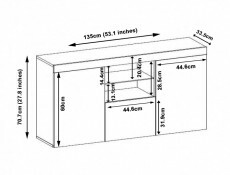 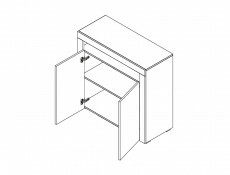 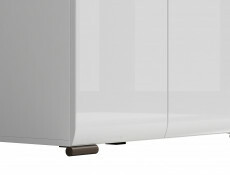 Below this, behind the solid part of the doors are 4 storage areas. 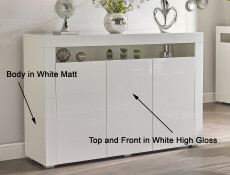 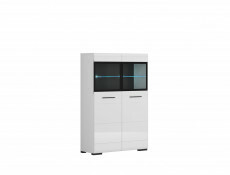 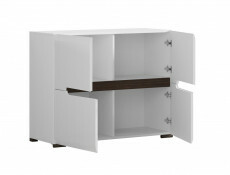 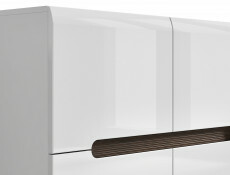 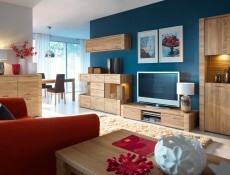 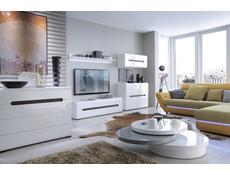 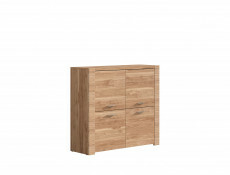 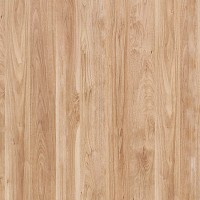 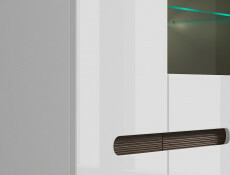 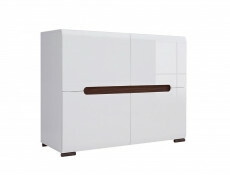 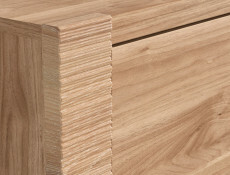 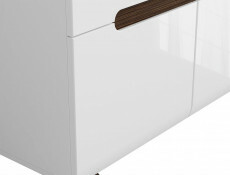 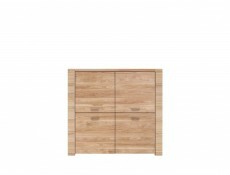 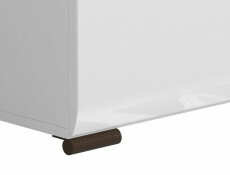 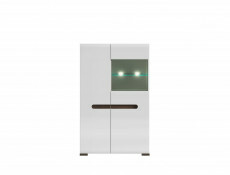 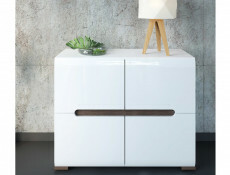 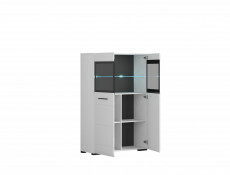 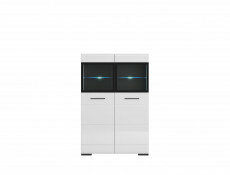 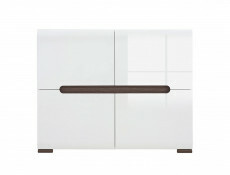 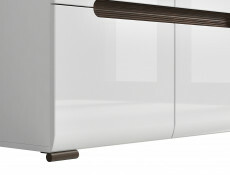 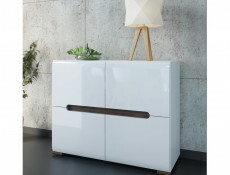 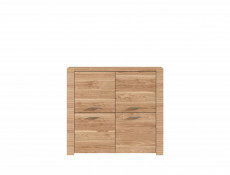 Available in two colour options of White body with White High Gloss fronts or Sonoma Oak body and fronts.